When I lived in Beijing back in 2007, QQ was the way people communicated, and in our office we used Microsoft Messenger. People would send SMS messages via their mobile phones, and everything had to be paid in person. With cash. I had to carry bundles of cash with me, particularly on pay day and it was a bit nerve-wracking carrying around stacks of 100 kuai bank notes around. Less than 10 years later hardly anyone carries cash now. With smartphones, people use Weixin or WeChat to not only communicate with friends and associates much like people outside of China use Whatsapp, but they also use WeChat for all kinds of things, particularly payments. The payment app is linked to their bank accounts and acts like a debit card. 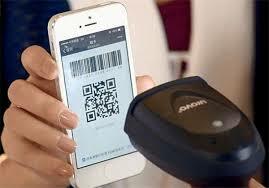 When you want to pay for something, from a snack at a roadside stall to a department store, you pull up the Wexin payment app and scan the vendor's QR code and presto -- the amount you paid for has been transferred electronically from your bank account to the vendor's. 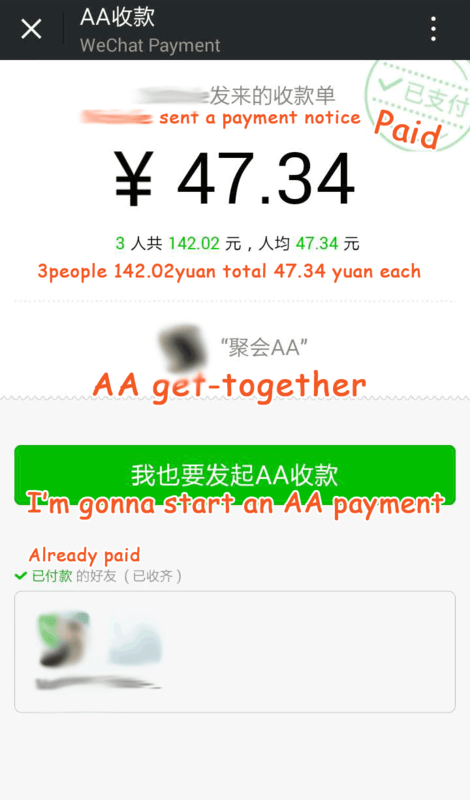 If there are several people eating together in a restaurant and then want to split the bill, it can easily be done by the WeChat app too. And if you need to call a taxi, WeChat can help you with that too. 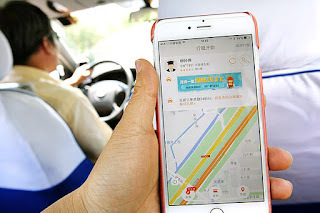 There used to be a plethora of taxis on the road, but nowadays the government is trying to take some taxis off the road by banning those who don't have a Beijing hukou from driving within the city limits. 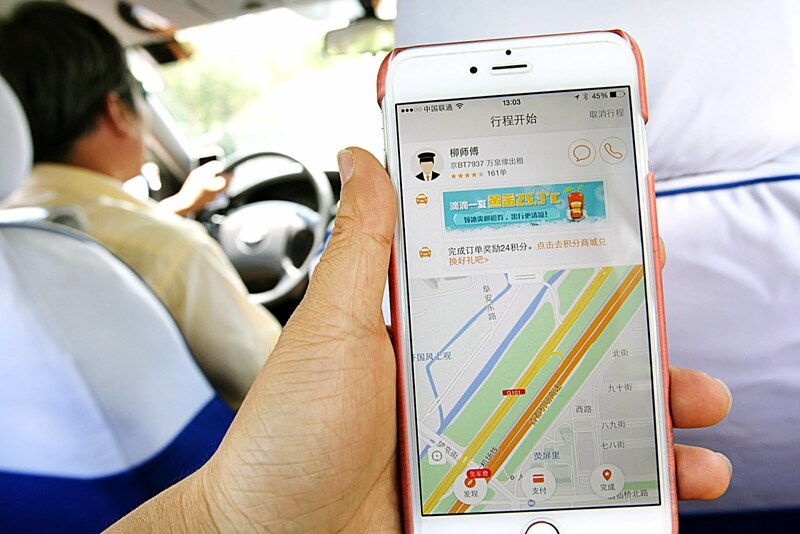 So WeChat can help you either call a taxi or an Uber-like service called Didi Chuxing (used to be called Didi Kuai). A few times my friends had to help me call a taxi because it's virtually impossible to hail them down late at night. It functions much like Uber where you tell them your destination and through GPS the driver is able to locate you. The payment is made automatically at the end of the trip and you can rate the driver. 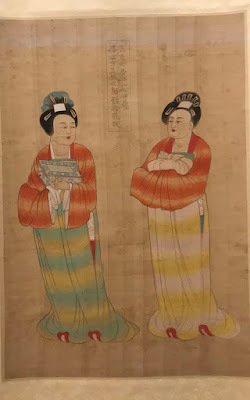 Though you could use a hei che or "black car", known by the vertical red lights hanging from the top of the windshield. With this form of transport, you need to bargain beforehand with the driver (which could be tedious), and some of my female friends don't trust these drivers. 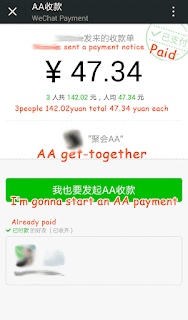 Nevertheless, you could probably pay them by WeChat which would still be convenient. So people in Beijing are pretty much cashless these days. Even trying to use a credit card can be an ordeal. However, the only drawback of using WeChat for payments is that it depends on how good the wifi is where you are paying. My friend bought a dress in a small boutique in Andingmen tried to pay via WeChat, but the transaction didn't go through unless they stood just outside the shop to get a stronger internet signal. WeChat seems more popular than Alipay, which may have been late to the game, or isn't as convenient in terms of its functions. In any event, it's quite amazing to see how China has practically leapfrogged over us in Hong Kong when it comes to electronic payments and it makes you wonder why we haven't thought of doing something like this ages ago. You DO realize that WeChat and Alipay are notoriously buggy and full of holes, plus both contains spyware that probes your phone and relays your phones information (oontacts, location info, activates and record using your camera and microphone) back to servers in beijing? Plus one with enough knowledge can intrude into your phone/server and clean out your bank account.. I would not use WeChat or Alipay (or similar Chinese) payment systems because the lack of security on the phones or the QR codes without some security measures. I don't think it's coincidence that two places I know where cash remains very much in use are Japan and Hong Kong: places which have very low rates of such as muggings, etc. To quote from there: "The anonymity of cash has been an integral part of our economy and society for millennia. Getting rid of that is quite a step."